The 2018 MakeWork Challenge winners have been announced. 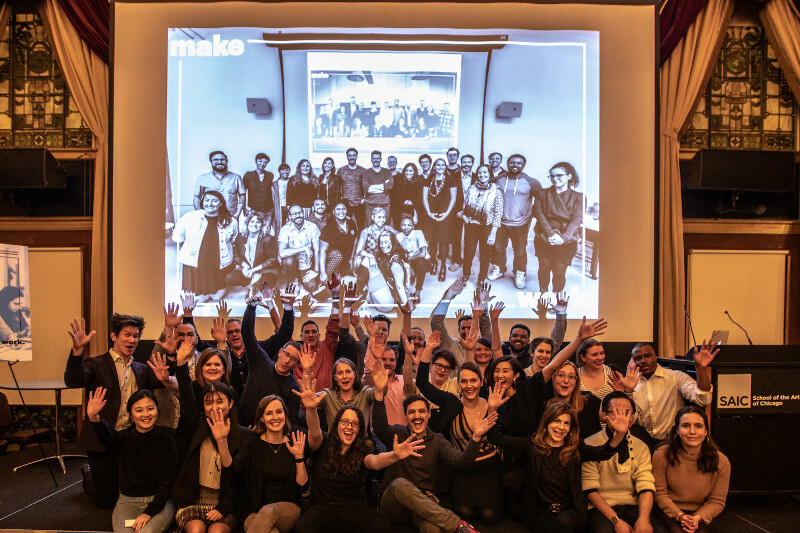 The annual MakeWork Challenge offers SAIC students and recent alumni an opportunity to present business pitches for a chance at winning up to $10,000 in start-up funding. This year's winners are: McCoy Crawford (BFA 2018) for GRGS, a Chicago record label for Chicago artists, Chelsea Traynor (BFA 2015) for Cozy Falls, a line of paper toys and playsets, Nicky Ni (BA 2015) for LITHIUM, a Chicago-based art gallery dedicated to time-based art, Shannon Belock (BFA 2016) for Heart of an Astronaut, a mural business dedicated to creating healthy environments, Heather MacKenzie (MFA 2014) for Turquoise Loom Collective, a collective of fiber artists who work on the Jacquard loom, and Jessica Gorse (BFA 2017) for Fertile Design, a design lab that turns food waste into bioplastics that repair and enrich the soil.